To Brandon Alinger, the words of location manager Philip Kohler were hardly surprising. That’s because he was seeking a place so frozen and remote that Kohler had chosen it to pass for the desolate ice planet Hoth in Irvin Kershner’s 1980 STAR WARS sequel THE EMPIRE STRIKES BACK. The place in question was a little mountain town in Norway called Finse (pronounced Fin-SAH) that lay about 180 miles Northwest of Oslo. As a seasoned explorer of many STAR WARS filming locations, Brandon was accustomed to having to find these tucked-away places, so Kohler’s warning wasn’t discouraging; it was a challenge. Making it even more exciting was the fact that, as far as Brandon knew, no STAR WARS fan had yet made the pilgrimage to Finse. He and his traveling companions Stephen Lane and Andy Goulding were due to fly out of London and into Oslo, Norway and they were so charged up, they felt like they could pull the ears off a gundark. When Brandon arrived in London, he and the rest of his expedition were able to meet location manager Phillip Kohler (a Londoner himself) in person, where he shared stories from the production of EMPIRE. Kohler told them that he had first visited Finse in the summer of 1978, as part of the initial scouting “recce” (reconnaissance trip). The recce consisted of approximately twenty people, including Director Irvin Kershner, Producer Gary Kurtz, Special Effects Supervisor Brian Johnson, Production Supervisor Norman Reynolds, and various other department heads. And the hazards they would face while working in Finse would make themselves immediately apparent. Hoping to get a better idea of just what they were soon to be getting themselves into, they pushed Philip for more details on the hazards of the weather in Finse. 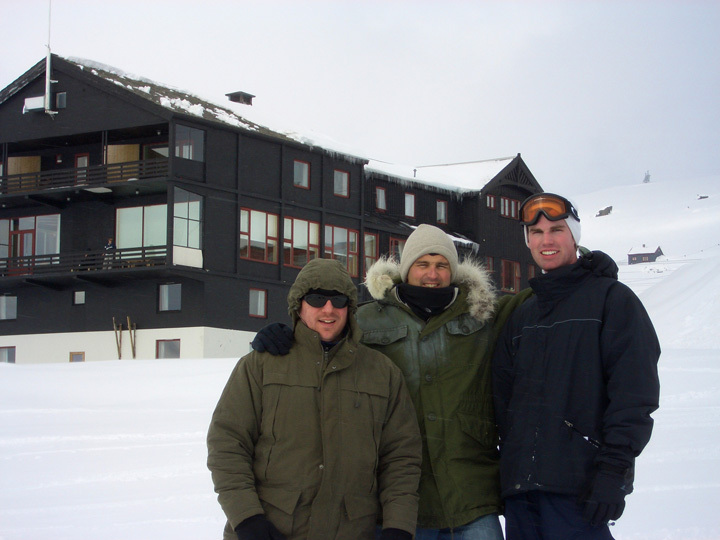 After regaling his expedition with more stories from the shoot, Philip produced some detailed maps of Norway and showed Brandon, Andy and Stephen the trails the location crew followed to reach the shooting sites that were not directly outside the hotel Finse1222, a central landmark of both Finse and the Hoth shoot. The adventurers had already hired a guide (though perhaps Sherpa would be more apt) who had worked on the filming and was still living in Finse. Now, armed with Philip’s maps and directions as well as their guide’s own well of knowledge, the group was optimistic. Within twenty-four hours, they’d be trudging through Hoth themselves. At 8 AM the next morning, the expedition departed London’s Heathrow airport, bound for Oslo, Norway. When they arrived in Oslo, the customs official was a bit suspicious of the foreigners’ short three-day stay. The team decided it was best to classify the trip as a skiing vacation rather than using photos of AT-ATs, Snowtroopers and Snowspeeders to try to explain that they were looking for some mountain seen in the background of a twenty-five-year-old science fiction movie. Looking out the large glass windows in the terminal of Oslo International, the expedition members saw exactly what one should expect to see in Norway—snow. Lots of it. Oslo is Norway’s capitol, situated very near the eastern coast of the country. There’s no driving to Finse—the only way in or out a four hour ride on a hundred-year-old railway—so was a pretty good place to hide a rebel base from the Galactic Empire. The expedition boarded the train and set out into the mountains. The journey to Finse was very scenic, traveling high into snow-covered mountains where the small town sits at the highest point along the Oslo-Bergen railway line—a whopping 1222 meters above sea level. As night fell over their train car, the Finse-bound adventurers played cards, imagining the isolation that the production crew must have felt when they set out on the same journey for the first time in 1979. When the expedition had set out from the urban center of Oslo, they were dressed a lot like most of the passengers around them: jeans, warm coats and sneakers. However, when the train pulled into the station at Finse, the out-of-towners suddenly realized that they were suddenly the only ones not decked out in head-to-toe arctic survival gear. They watched with amazement as passengers exited the train with packs on their back and skis on their feet, skating straight off the landing platform and down the snowy hillside, disappearing into the dark of night. The sight, something out of a James Bond film, knocked the groups’ adventuring egos down a few pegs, but they were still extremely excited to finally be in Finse. Finse was originally established as a railway maintenance town, and its map is dotted with only a handful of buildings and local residences. At any given time there are around 30 people living in the town, and that population is largely composed of hotel staff or railway workers. Finse’s biggest structure is the hotel that would house the current expedition just as it did the cast and crew of THE EMPIRE STRIKES BACK back in 1979. That hotel was Finse1222. Finse1222, named after its high elevation, originally opened during Easter week in 1909. At that time it was simply called Finse Hotel, and was a luxury establishment built to cater to the European elite and nobility. 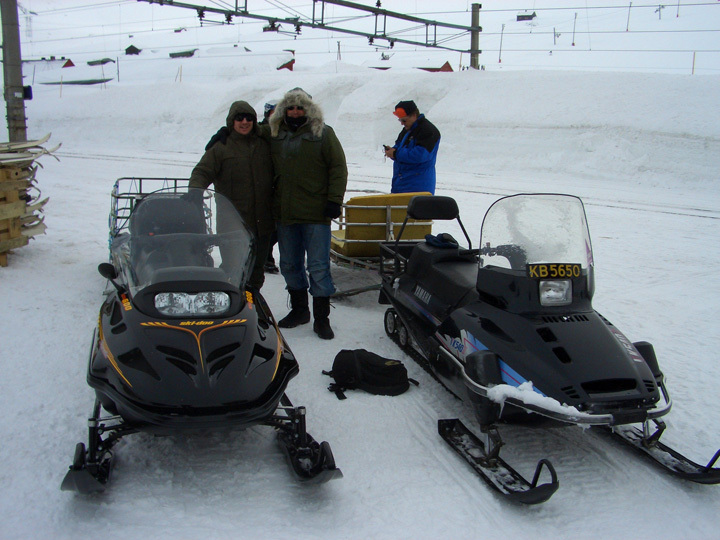 Today, the hotel serves as a base station for tourists and cross-country skiers who seek out Finse for its endless trails and frozen virgin beauty with the same kind of awe that Brandon, Andy and Stephen did. And the hotel was prepared for the arrival of their STAR WARS-loving guests. 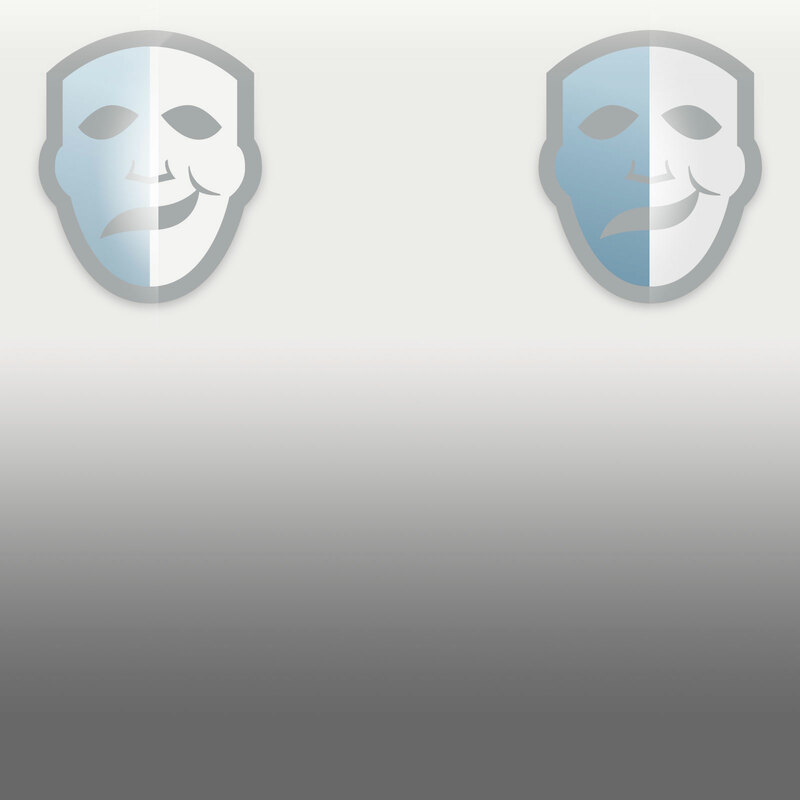 Espen, the desk clerk, greeted them with a white cap he removed from a glass case on the wall. “Welcome Jedi!” he announced as he pulled it onto his head. The Jedi trio examined the cap with awe—it was a rebel soldier’s hat worn during the filming of the Hoth battle scene in THE EMPIRE STRIKES BACK. The prop remains the hotel’s lone souvenir of its affiliation with the science-fiction masterpiece. The expedition spent the evening poring over their hard-fought collection of maps and photographs, planning the route they would take the next morning with their two Norwegian guides in search of the locations. Philip Kohler’s hand-drawn map for the Finse location showed four different shooting areas, all located along the same trail leading up to the Hardangerjøkulen glacier. One of these areas was named “Norman’s Folley”, for Empire’s Production Designer Norman Reynolds. 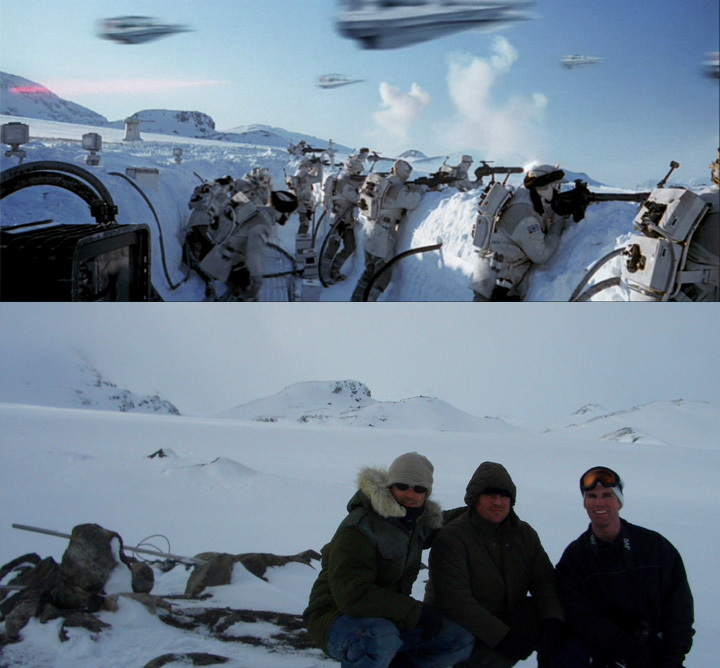 But the holy grail of this particular excursion were the “Hoth mountains,” the rocky peaks seen in the background of many of the Hoth sequences. If the expedition found those, they would also have found the location for which they hunted. Return and journey with our adventurers into the maw of Hoth herself in the soon-to-follow exciting conclusion!